You know how the associates in retail stores usually give you a friendly, "Hi! Let me know if I can help you with anything today" when you walk through the door? Sure, they say it to everyone who enters the store, but there's just something about a friendly greeting that makes you feel appreciated. Now, if you're like me, though, you hope that the retail associate doesn't continue bugging you incessantly while you're shopping (badgering people isn't quite the best method to get them to buy, if you ask me). The same scenario can also happen with your blog subscribers. Chances are, you've worked hard to get them to subscribe -- you've written valuable content that makes them want to come back for more, you're blogging regularly, and you've encouraged them to subscribe. Now that they've walked through your door, don't they deserve a little greeting themselves? This is where welcome emails come into play. Here's why they're so great and how to set up one of your own to show appreciation for new blog subscribers. 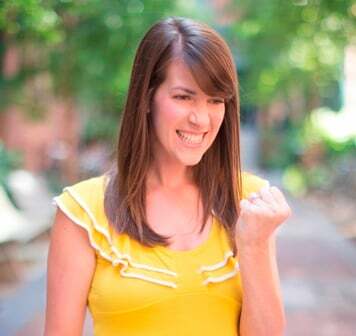 A type of transactional email, welcome emails are beneficial for a number of reasons. First off, they're lovable -- they show your new subscribers you appreciate having them as part of your subscriber community. After all, these people just opted in to get even more email delivered to their already cluttered inboxes. Definitely worth a little thank you from my perspective. Welcome emails are also great for reminding subscribers exactly what they signed up for. This is particularly important when users opt in to your blog through more indirect methods, like check boxes on landing pages. The fact of the matter is people sign up for things and then forget they ever did. Reminders are always helpful, especially when they prevent people from thinking the blog subscriber emails they're suddenly getting are spam -- and marking them as such. Furthermore, they set expectations with your subscribers by clarifying the types of content they'll start getting emailed about and how frequently they'll get those emails. Welcome emails also give you, the marketer, a chance to promote other things like offers, upcoming events, etc. And best of all? They can be set up and triggered automatically, requiring little maintenance on your part. Like I said, one of the beautiful things about welcome emails is the ability to automate them. 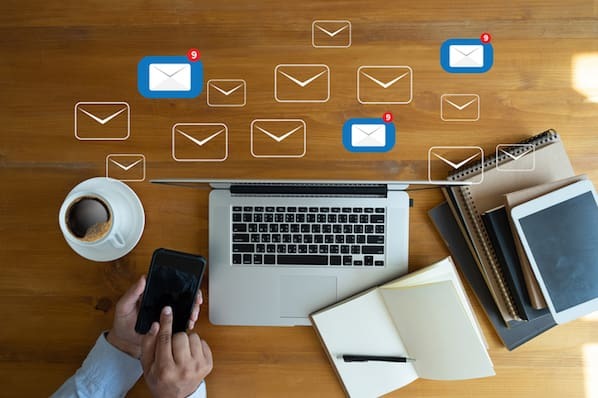 How you configure yours will largely depend on the software you're using, but in general, you'll set up a workflow triggered by either the contact's addition to a subscriber list or the contact's completion of a subscriber form. That workflow will then initiate your welcome email to new subscribers based on the timing you specify (we recommend triggering the email to send immediately after the contact subscribes). Okay, so what about the welcome email itself? What should it include? 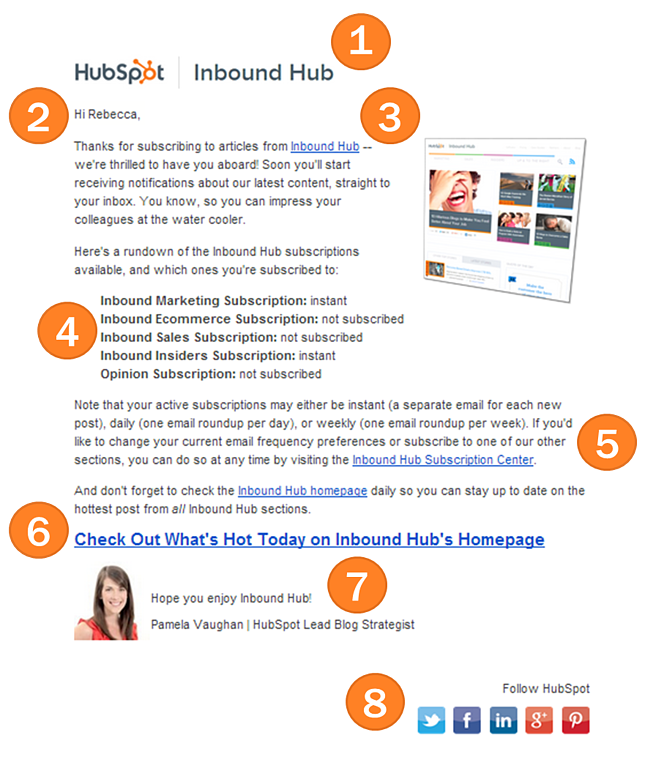 General email best practices aside, let's review some of the specific welcome email must-haves, using Inbound Hub's own welcome email as an example. Because this is the first email your subscribers will be receiving once they've opted in, the most important thing to consider when choosing the subject line, sender name, and branding of your welcome email is recognizability. As a result, make sure you're using your company or blog's name and other branding elements like logos and screenshots to identify that the welcome email is coming from your blog. It's also smart to recognize the action the recipient took in the subject line so it's immediately apparent why they're receiving the email in the first place. "Thanks for subscribing" reminds the recipient that they just subscribed, and "your next steps" offers a sense of urgency to click through to the email. As always, feel free to test variations of your subject lines and sender names to determine what works best to generate clickthroughs. Aren't greetings so much more personal when they're ... well ... personalized? 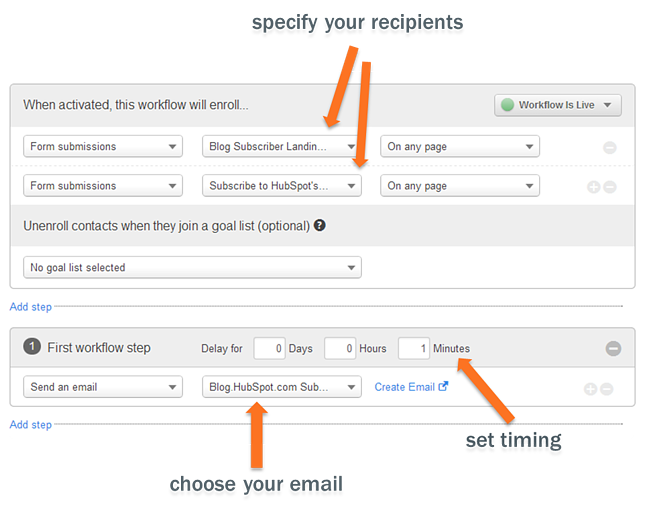 If you're lucky enough to have your email software connected to your contacts database (that's you, HubSpot users!) and you've collected any information about your contacts aside from just their email addresses (like, say, their names), personalizing your welcome emails is easy as pie. Plop in a dynamic tag, and you can turn that generic "Hi there" greeting into something much more personal like, "Hi Rebecca." Much more welcoming if your name is Rebecca, right? After you greet your new subscribers, show them you care! Like I said, these people have deemed your content worthy enough to receive emails about it -- and that's quite the compliment. Show them you appreciate having them as a new subscriber with a simple thank you. It'll go a long way. Remember -- even if you trigger your welcome email to get delivered right after contacts subscribe, some people need a little clarification about exactly what they signed up for, especially if they signed up without knowing any of the details. So tell them! What type of content should they expect to receive? How frequently will they get emailed about it -- every time you publish a new post? On a daily basis? Weekly? Monthly? As you can see in our example welcome email, because Inbound Hub is comprised of several different sections, we indicate which of those sections the recipient is subscribed to and at what frequency. This way, subscribers know exactly what they've signed up for -- and what to expect. What if the subscriber is unhappy with the frequency at which you'll be emailing them? Or what if they (unfortunately) decide they don't really want email about your blog content after all? Give them the opportunity to modify their preferences by linking to an email preference center landing page where they can change their frequency preferences or opt out of your blog(s) completely. I also recommend linking to this page in the individual blog subscriber emails you send. While your welcome emails should mainly be about welcoming new subscribers and providing information related to their new subscription, we're marketers, right? It's hard not to use the opportunity to inspire some kind of action or next step, so feel free to include a call-to-action for a relevant offer or action you want subscribers to take next. Maybe it's a CTA to download your latest free educational ebook, register for an upcoming event, or simply check out some of your most popular blog posts. In our welcome email, we've chosen to promote the revamped homepage of Inbound Hub, since it's fairly new, and it's something we're trying to drive more traffic to. The choice is yours -- just make sure it's subtle and relevant. It may seem obvious, but a welcome email should come from an actual person. Our welcome email, for example, currently comes from yours truly because I manage our blog's email subscriptions. You can extend this logic to your sender name as well to make things even more personal -- our welcome email comes from "Pamela, HubSpot Blog," for instance. 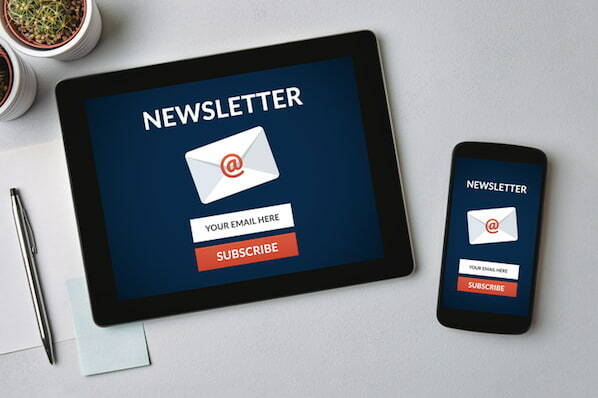 If your subscribers were interested enough in your blog to subscribe to your emails, it's safe to assume that many of them might welcome other ways to connect with you. Therefore, use your welcome email to help increase your social reach by including social media follow buttons for your social media accounts. Do you have a welcome email set up for your subscribers? What other tips can you share?